PVC foils, which were not known until a few years ago when many companies have begun to introduce and promote them as a door-packing product, Anka Dekor has acquired a very good market share in our country because of its high quality PVC foils products. Our product which we supply in the most popular and the most comprehensive way is PVC Membrane Foil. PVC membrane foils, which were not known until a few years ago when many companies have begun to introduce and promote them as a door-packing product, Anka Dekor has acquired a very good market share in our country because of its high quality PVC foils products. The most important thing to consider here is the great contribution of Anka Dekor, because if companies such as Anka Dekor had not had introduce the product, it would not have been easy to promote it now and find it everywhere. Anka, took a great risk by upgrading its doors to PVC foils and spent a lot of time and effort for that. If Anka Dekor did not spend much money to promote PVC, we would have been now paying a lot for useless products that cannot even be compared to the quality of Anka Dekor's current products. PVC door manufacturers know that Anka Decor deserves its place in the market because of the effort it has made in this field. 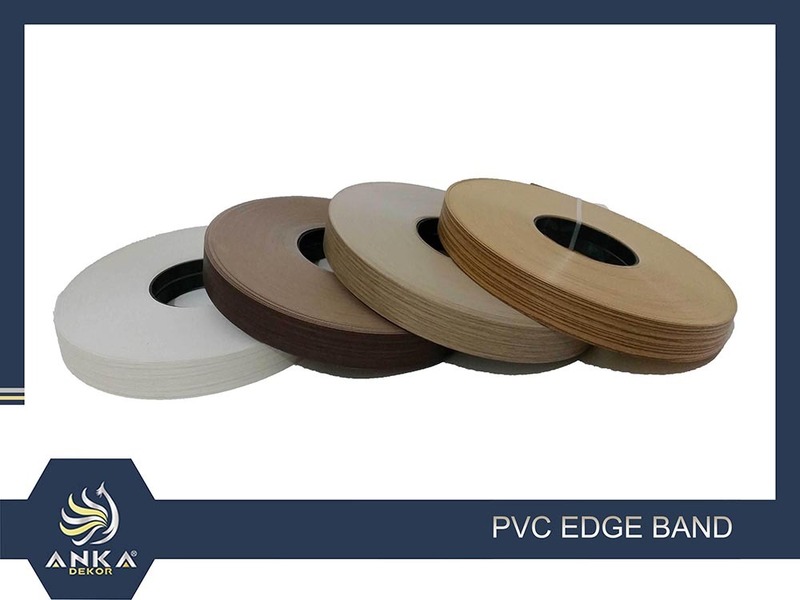 While other vendors of PVC doors are trying to sell cheap, low quality goods, Anka Dekor is a leader in this market with its PVC plastic door foils and adhesives. Suppose that Anka Dekor did not produce this product let's think about what would have happened, many bad products would have been sold in the market and the user would have been paying money in vain. According to Anka Dekor, these foils are the perfect choice for doors and there is no alternative for them in the near future. 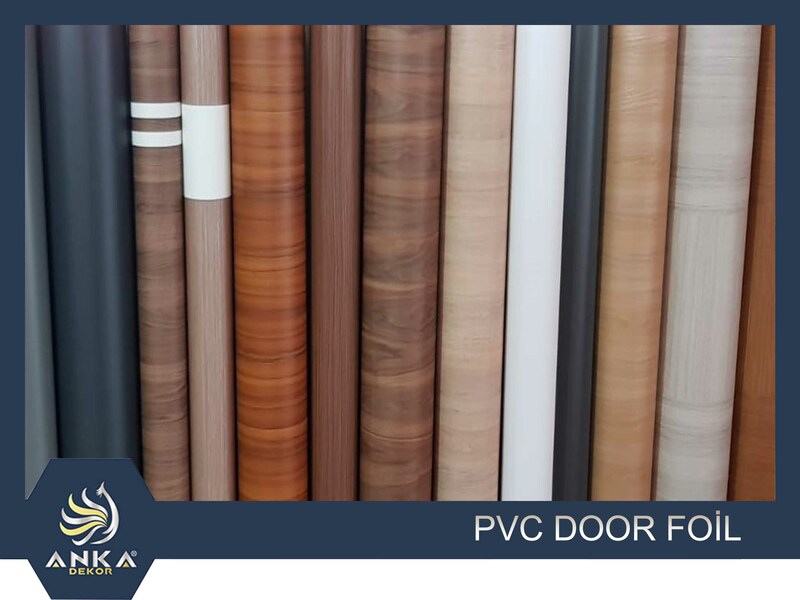 Our customers will continue to purchase PVC from Anka Dekor as long as they produce PVC doors and our country will keep using high quality and cheap plastic door foils for many years. It is a watering product used to compress PVC foils on doors and cabinet doors in the kitchens. Since the adhesive technology depends on water, it does not contain any substances that are harmful to health, neither during manufacturing nor after. 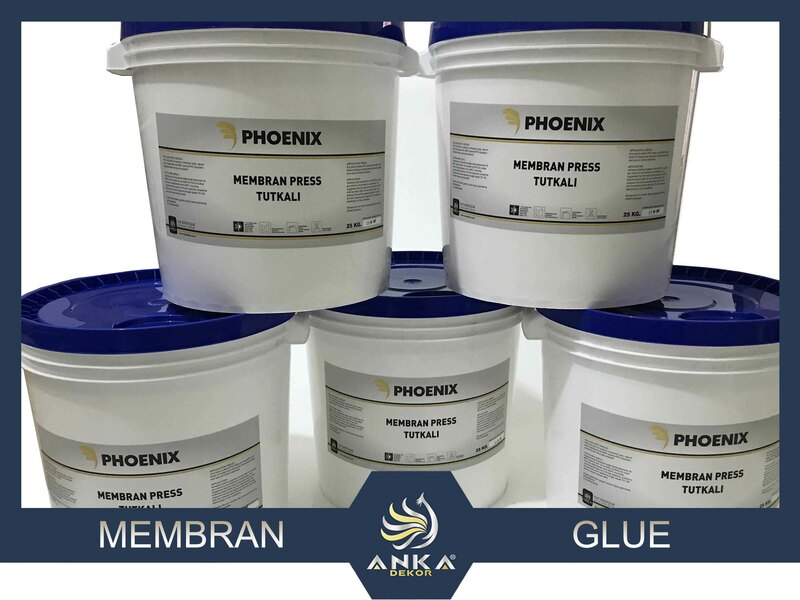 For Phoenix glue the approximately 90 grams is sufficient per square meter. 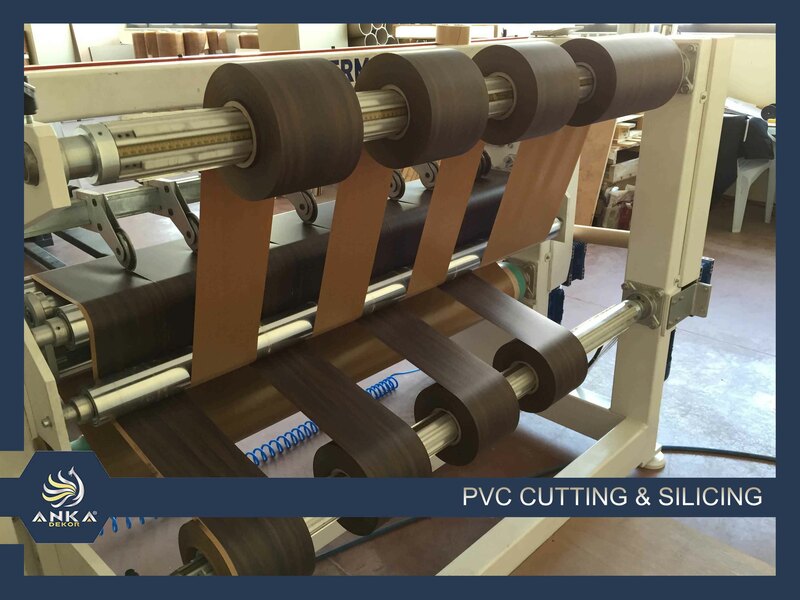 High quality raw materials imported from Europe used to produce vinyl adhesive film in Turkey, which comes in the form of 25kg plastic gallons or 1000kg plastic sheet. Anka, presents PVC membrane foils for interior doors, steel doors, kitchen and bathroom cabinets, pvc and aluminium profiles with unlimited patterns and colors.